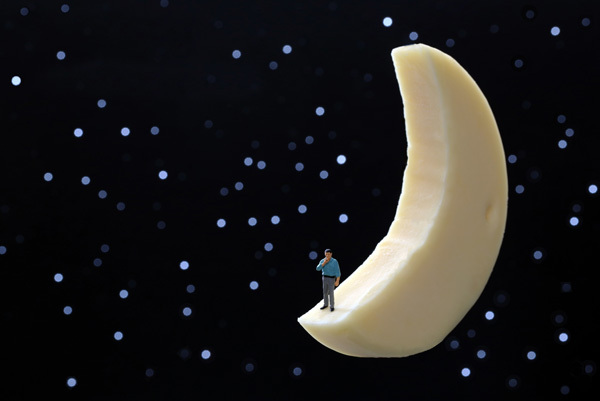 What if the Moon Were Made of Cheese? 3. It would take 74,074,074,100,000 slices of kraft singles that could be produced with a moon-sized wheel of cheese. 4. The population of American students – from Kindergarten through High School – could be fed grilled cheese, made from the moon size wheel of cheese for 3,741 years. This entry was posted in Unusual Knowledge and tagged cheese, cheese wheel, fun facts, grilled cheese, kraft, moon, unusual knowledge. Bookmark the permalink.